When doesn’t living in green and natural surroundings have the power to rejuvenate and charm? What if this could be available every day and not only during a particular vacation for you? That too in the so-called space-starved areas of NCR? And, to top it, at affordable rates! Sounds too good to be true? Well, not really! 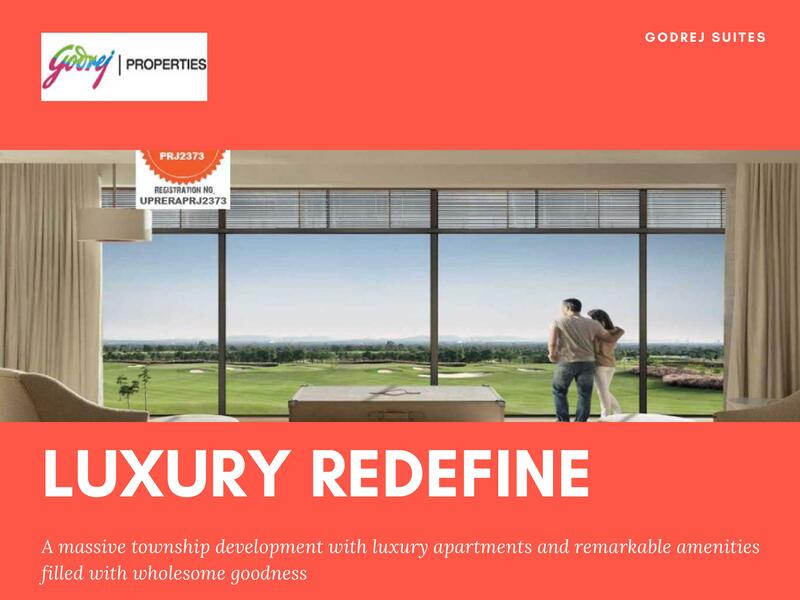 The stalwart of realty, Godrej Properties Ltd., has actually made it possible. Welcome to Godrej Golf Links. This is a vast land parcel that stretches over 100 acres of prime land. It is located only 1 km from Pari Chowk, in the heart of Greater Noida, Noida. 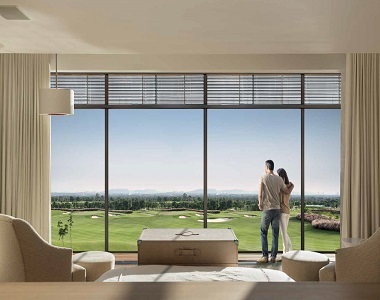 The highlight of the fully integrated township is the 9-hole golf course that is the central nerve and the green belt of the property. The project is being developed on phases. Phase-1 consists of 3 elegant high-rise towers that will offer glorious views and freshness all around. These contain homes in configurations of 2 BHK and 2 BHK + Study. The sizes start at 710 sq. ft. and go up to 1450 sq. ft. overall. The homes here are stylish and practical, that being the signature style of the developers. The high-quality finish complements the well-planned layouts and is embellished with branded and sophisticated fixtures and fittings. The floorings, walls, balconies, windows, doors, bath fixtures, sanitary ware, and kitchen counters, all look elegant and classy. The facilities here are also marvelous. There are 4 mini-clubs here. The focus will be on fitness and sports. There is a golf academy on the cards. Then there are swimming pools, kids’ play areas, green parks, health and recreational centers, jogging tracks, and a lot more for a happy and well-rounded living. The best part is that the project is highly affordable. Prices start at a mere Rs. 39 lakhs. These are great options for a grand luxury at low cost. With the metro connectivity in the pipeline, the cost is only slated to go up. The connectivity via the Noida Greater Noida Expressway is another boon. With the names of Buddh International Circuit, Sports’ City, proposed Night Safari and International Airport, the area is getting a boost. Kalindi Kunj, Delhi and Atta Market Noida are also close by. Then FNG and Yamuna Expressway are connectors to other directions! 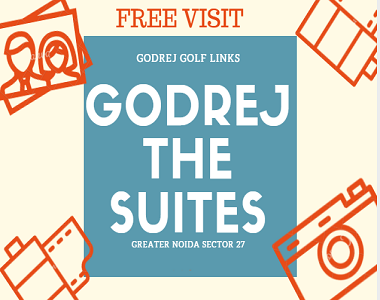 Or shall we say, all roads lead to Godrej Golf Links Greater Noida surely!